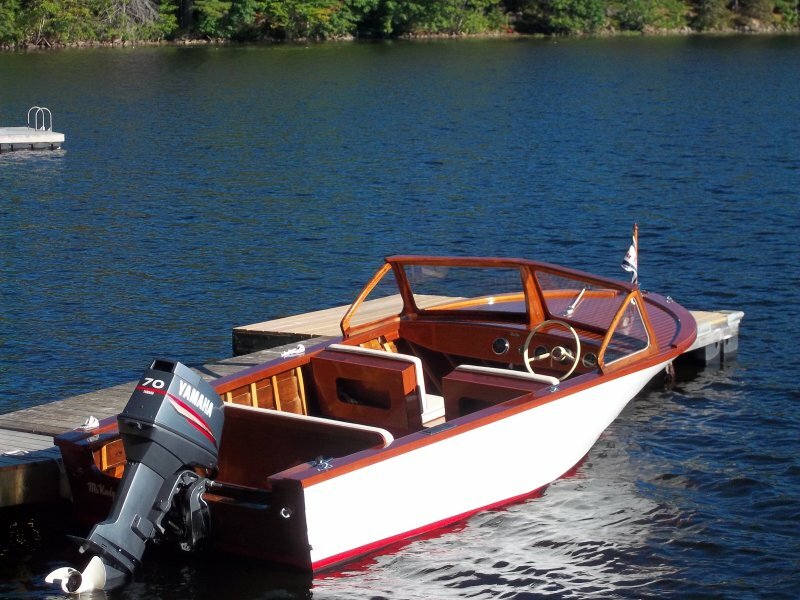 Matt Gillam and his father worked together for seven years to restore MS KEELY a 1958 Penn Yan Caribbean. They replaced her deck, nearly all of her oak frames, and repaired her gunwales. They also redid her entire interior and gave her a new finish all around. The pair launched MS KEELY in June 2105, just in time to attend the WoodenBoat Show at Mystic Seaport in Connecticut. They entered her in the “I Built it Myself” display and won the People’s Choice Award in the category of Owner-Restored Powerboats. The Gillam family cruises in MS KEELY on Maine’s many lakes.